Dr Jessica Allen is developing commercial energy technologies for today and for the future, as part of her research within UON’s Priority Research Centre for Frontier Energy Technologies and Utilisation. Having gained experience in both industrial and research fields, Jessica is well placed in her steering of the team’s fundamental electrochemistry research into the direction of commercial application. Jessica always enjoyed maths and physics when she was at school, and when it was suggested she pursue a degree in engineering, she decided to attend a UON Information Session to find out more. “A girl stood up and talked about how much she loved the degree - she'd gone on exchange to Canada, gone snowboarding and all of these amazing things while she was studying. “I thought, ‘That sounds amazing, sign me up!’” Throughout her Chemical Engineering degree, Jessica undertook a vacation project working on hydrogen production at CSIRO’s Energy Centre. Although hydrogen fuel cell cars are zero-emission, the process of making the hydrogen is not. Currently, all of the hydrogen we use is derived from methane, a process which generates carbon dioxide. Jessica was working on making hydrogen production emission free. “Around the end of my project, Emeritus Professor Sten-Eric Lindquist was visiting and he’s a bit of an electrochemical guru. With support from Sten-Eric and UON’s Professor Scott Donne, Jessica proposed a PhD project which would allow her to carry on with her work, focusing on the oxidation of sulphur dioxide in the hybrid sulphur cycle. “The hybrid sulphur cycle is an alternative approach to hydrogen production which combines both thermal and electrical inputs, so the whole thing can be powered by solar alone. Throughout Jessica’s PhD, she worked on the development of a catalyst for the electrochemical oxidation of sulphur dioxide. “Since I’ve finished my studies, there’s actually been a massive undertaking in Europe on this because it was pinpointed as the most promising thermochemical cycle for large scale hydrogen production. “There’s been a lot of commercial development in the last 5 years and they've cited us quite heavily - which is nice to see. Following her PhD, Jessica was offered a couple of post-doctoral positions from universities from across the world. She instead chose an entirely new direction - which would prepare her well for the pursuit of her future endeavours. Jessica started work with a Central Coast based start-up commercialising new energy technologies. The company was working to develop a large scale slow pyrolysis process for biochar production – throughout her time there, Jessica saw multiple stages of the project progress. 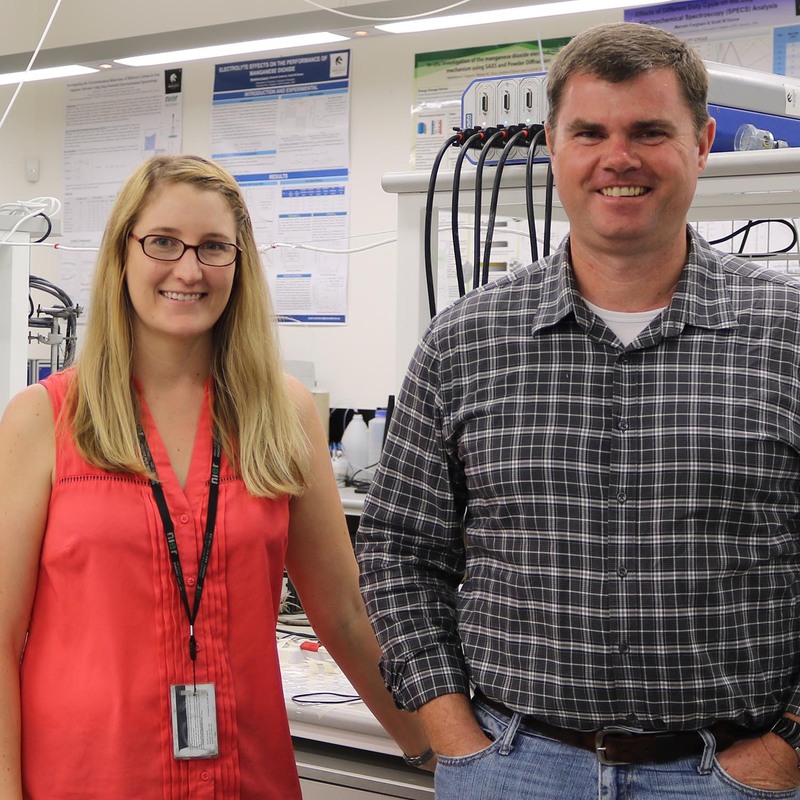 Jessica is now working alongside her colleague and mentor Professor Scott Donne to spearhead the development of a commercial scale model of a direct carbon fuel cell (DCFC). The DCFC is twice as efficient as coal-fired power stations – while modern power stations can typically operate at up to 40 per-cent efficiency , DCFCs can potentially run at 80 per-cent. “The traditional way of getting energy from coal is to burn it to get thermal energy. That heat then boils water which makes steam, which drives the turbine which moves magnets and makes electrical energy. Within a fuel cell, the fuel is separated from the oxidant – spontaneous electrochemical reactions between the two generate electrons, and the movement of these electrons is what makes electrical energy. The process is particulate free, alleviating the health problems associated with smog. It also enables easy carbon-capture, as the emitted CO2 is pure and so doesn’t need energy intensive treatment before the carbon is sequestered. “It's a game changing technology. “We all know we need to start transition away from coal, but that’s not going to happen immediately. The team have been awarded a $1.6 million project grant from the NSW government to move forward with the commercial development of the fuel cell, building on five years of fundamental research. “We have the aim of making the technology available for $10K for a 10kW unit. “It’s an ambitious goal for this new technology, but we can’t just drag this on for the next 10-15 years in the research phase. It needs to be commercially interesting so it needs to be soon. Dr. Jessica Allen has a multidisciplinary background spanning both chemical engineering and chemistry. She has worked in both industry and academia on projects spanning fundamental research to commercial design. 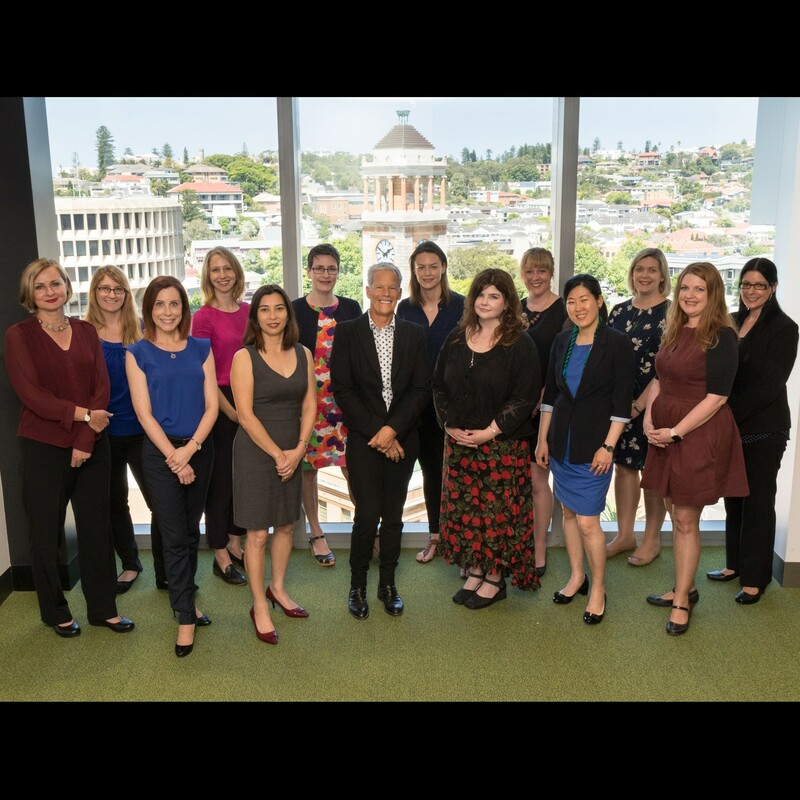 Dr Allen completed her undergraduate degree in chemical engineering at the University of Newcastle before taking up a PhD in chemistry with the CSIRO Energy Centre, Newcastle. 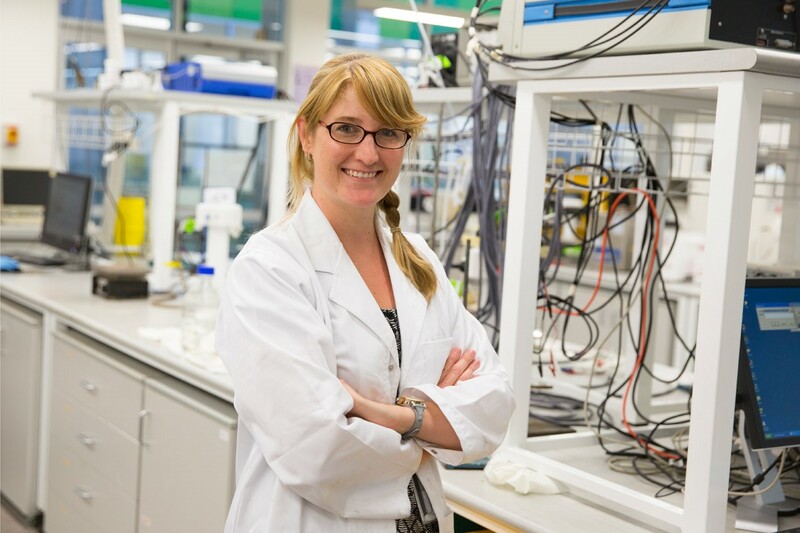 After completing her PhD, based in fundamental electrochemistry, Dr Allen accepted an industry position as a project/research engineer with start-up technology company Pacific Pyrolysis. In her time with the company she also completed a secondment with Ignite Energy Resources, based on the same site, as an operations engineer. Dr Allen returned to academia in 2013, taking up a post-doctoral position with the University of Newcastle in the Applied Electrochemistry group, part of the Faculty of Science and IT. Dr Allen was then appointed in 2017 as a lecturer in Chemical Engineering at the University of Newcastle, and as a principal researcher for the Priority Research Centre for Frontier Energy Technologies and Utilisation. 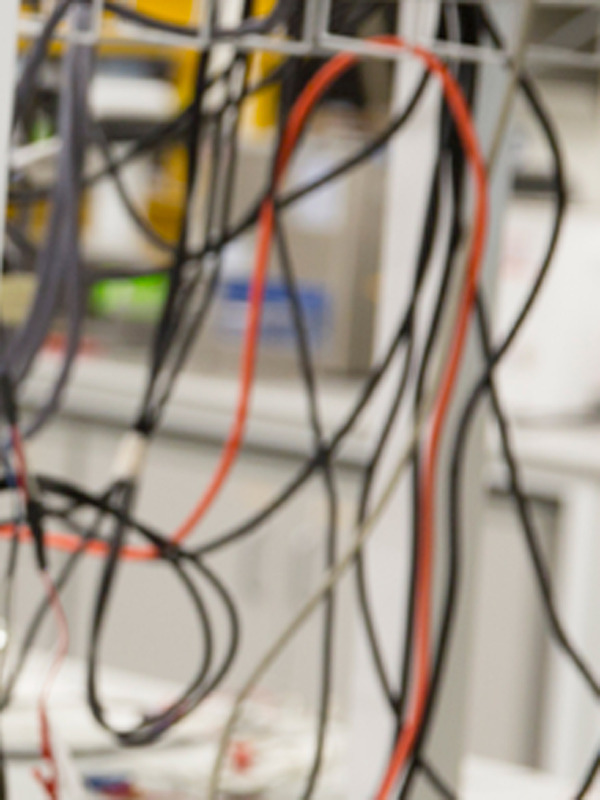 Energy storage, particularly electrochemical energy storage, is Dr Allens’ particular specialty area. She has worked and published extensively in electrolyser and fuel cell technologies as well as collaboratively on the development and fabrication of supercapacitor and battery materials. Dr Allen’s post-doctoral work focused on the direct carbon fuel cell (DCFC), which is a high temperature fuel cell with the potential to halve carbon emissions and eliminate particulates related to traditional coal combustion, making the technology able to be located close to urban areas. Her area of study encompasses electrochemical assessment of the carbon electrooxidation reaction, molten salt properties, as well as engineering design of high temperature fuel cells. She has also been directly involved in renewable energy systems for biomass as a professional engineer through her work with Pacific Pyrolysis and Ignite Energy Resources, as well as collaborative academic work carried out at the University of Newcastle. As a research engineer working for Pacific Pyrolysis, Dr Allen operated an innovative slow pyrolysis, greenwaste-to-biochar pilot plant and carried out extensive mass and energy balance investigations including the development of a model able to predict energy generation expected for a specific feedstock. During her time with Ignite Energy Resources, Dr Allen was involved in operating a first-of-a-kind hydrothermal reactor. This plant successfully demonstrated the large-scale transformation of wood flour to bio-oil using elevated temperature and pressure. Dr Allen also has experience in solar thermal energy since her PhD work referred to the hybrid sulfur cycle, a thermo-electrochemical cycle for the production of hydrogen from water using solar energy inputs. She has several highly cited relevant research papers in this area as the cycle and its applications are of increasing research interest globally. More recently, Dr Allen is also interested in molten alkali-metal carbonate salts, which have properties favourable for application in concentrating solar power (CSP) technology as well as interesting electrochemical properties. UON has attracted $1.6 million to develop an alternate method of generating electrical energy that is more than twice as efficient as coal-fired power stations.